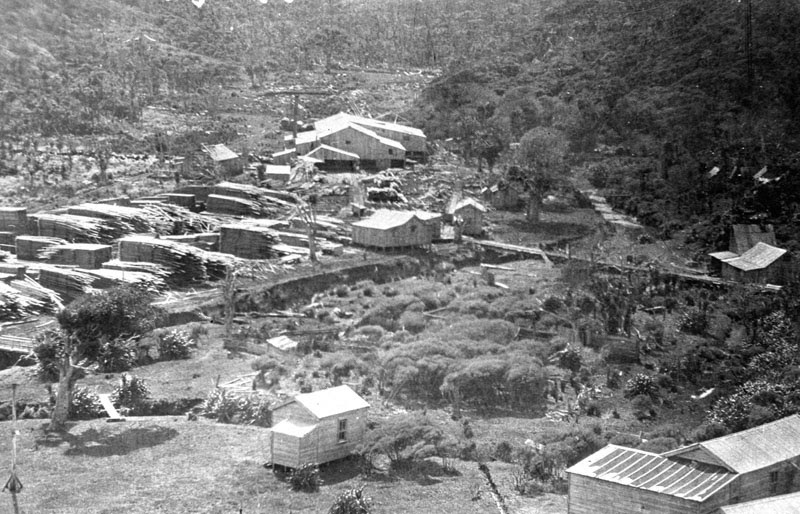 Piha Mill was operational from 1910 until 1921 and was one of the largest mills in the region before the timber industry began to decline.Although the mill was situated within the boundaries of the Waitakere Ranges Regional Park, a village grew up around it to accommodate the workers. Facilities such as mill accommodation, cookhouse, store and a school were also established. 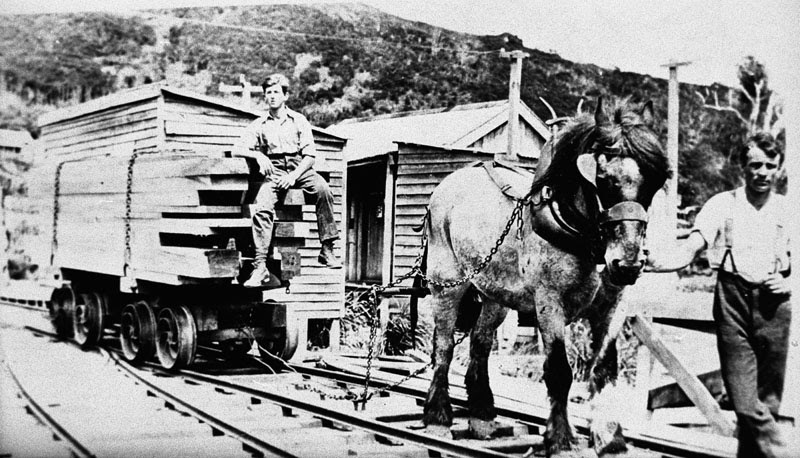 Kauri trees were felled and transported to the mill using a combination of bullock teams, driving dams and timber chutes. 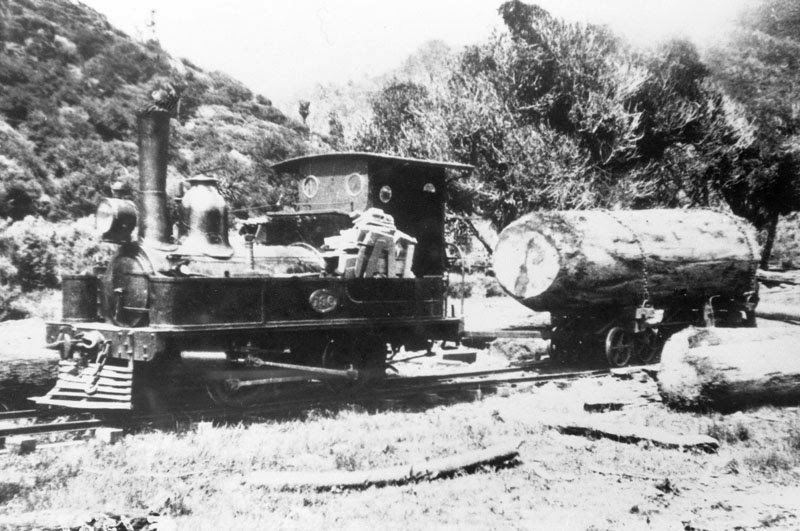 After the wood had been cut, it was laboriously moved from Karekare by tramway, driven to Windy Beach by wagon and then taken by coastal tramway to Whatipu Wharf before finally being shipped out. Ironically timber from the mill was for the most part used to build railways. 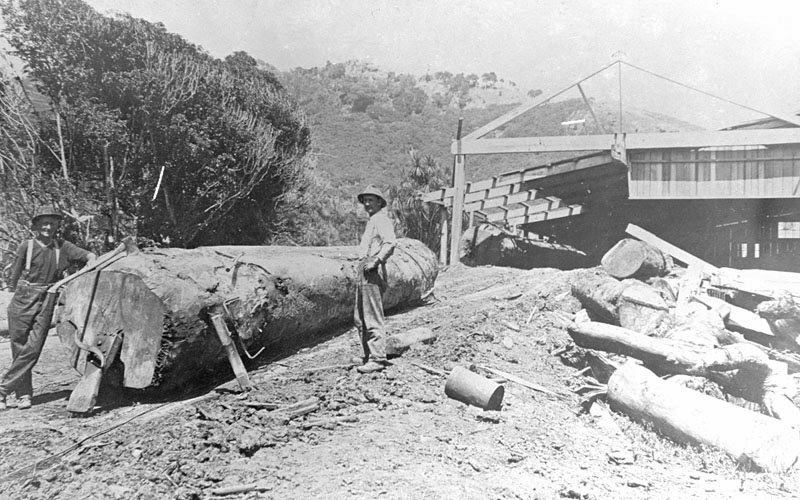 Piha Mill has been added to the historic heritage schedule of the Proposed Auckland Unitary Plan. Keen to find out more about the mill? 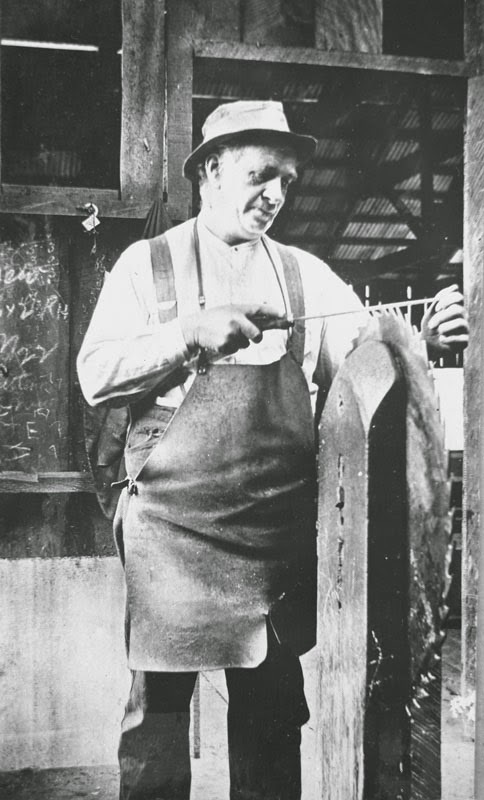 Check out the heritage resources at Auckland Libraries relating to the mill. Also, the West Auckland Research Centre has a great selection of heritage images of the mill site. 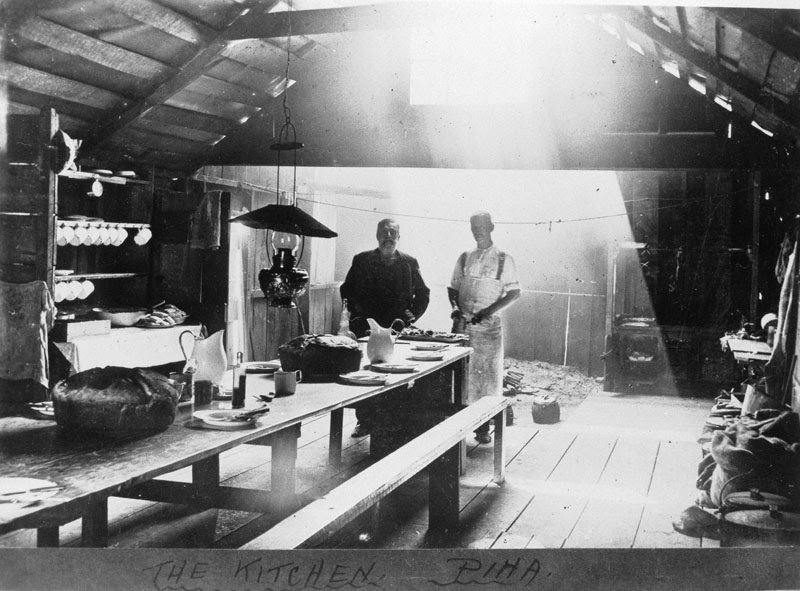 You can search for them through the Local History Online database - simply choose Search Images and then enter the keywords 'Piha Mill' into the search box. Below is a selection from this collection.